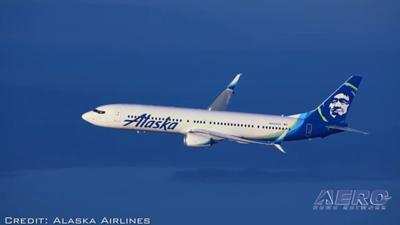 A retired pilot who flew for Alaska Airlines has pleaded guilty to a charge of operating an airliner while under the influence of alcohol. Fox News reports that David Hans Arnston has admitted to flying from San Diego, CA to Portland, OR on June 20, 2014, and then returning to San Diego. On landing at John Wayne Airport in California, he was selected for a random drug and alcohol test by the airline. He submitted to two Breathalyzer tests, and both came back "well above the federal limit of 0.04 for pilots." The tests showed blood/alcohol levels of 0.134 and 0.142, according to the report. "This pilot worked for the airline for more than 20 years, and we now know that he was an alcoholic who flew commercial flights while under the influence of alcohol," said United States Attorney Nicola T. Hanna. "When he was finally caught, the evidence indicates that he had flown with an alcohol level more than three times the legal limit. Thankfully, Mr. Arntson was never involved in an accident, but his conduct could have resulted in tragic consequences. Very few people will ever hold the lives of so many people in their hands at one time." According to the plea agreement filed by the United States District Court Tuesday, both parties have agreed to a sentence of one year and one day in federal prison, following by three years of supervised release. "This guilty plea demonstrates that ensuring the safety of the travelling public within the nation's air transportation system remains a high priority for both the Office of Inspector General (OIG) and the Department of Transportation (DOT)," said William Swallow, DOT-OIG Regional Special Agent-in-Charge, in a news release. "Working with the Federal Aviation Administration and prosecutorial partners, we will continue our efforts to prevent and punish those who seek to compromise the safety of our national airspace system."